A multi-purpose underwater primer, offering good resistance and protection. Can be used above or below the waterline. Coverage: 9,00 m2/l. Number of coats: 2. Teamac Marine Undercoat is an interior and exterior, oil based marine undercoat. It is a high opacity undercoat with good flow characteristics for use with Teamac Marine Gloss. It has been designed to reduce topcoat sinkage and to retain a high gloss finish. 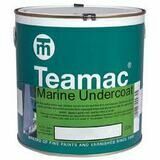 Teamac Marine Undercoat can be used either as a foundation coating or when a colour change is required. Coverage: 13 m2/l. Teamac Marine Undercoat is an interior and exterior, oil based marine undercoat. It is a high opacity undercoat with good flow characteristics for use with Teamac Marine Gloss. It has been designed to reduce topcoat sinkage and to retain a high gloss finish. Marine Undercoat can be used either as a foundation coating or when a colour change is required. Coverage: 13 m2/l. 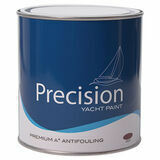 Precision Yacht Undercoat is an interior and exterior, oil based yacht undercoat. It is a high opacity undercoat with good flow characteristics for use with Precision Yacht Finish. It has been designed to reduce topcoat sinkage and to retain a high gloss finish. Precision Yacht Undercoat can be used either as a foundation coating or when a colour change is required. Coverage: 13 m2/l. Precision High Performance Yacht Primer Undercoat is a two-pack epoxy zinc phosphate primer. Provides an excellent bond for subsequent finish coats. Precision High Performance Yacht Primer Undercoat is used with Precision High Performance Yacht Finish on any substrate. Suitable for use on blast cleaned and other suitably prepared steel surfaces. It is not suitable for use as a weld through blast primer. Provided the steel has been cleaned effectively an outstanding bond is formed between primer and metal. Coverage: 12 m2/l. Precision Wood Primer is a high quality, general use wood primer for interior and exterior use. Precision Wood Primer penetrates and primes all timber, especially useful for priming soft wood. Coverage: 13 m2/l. Precision Antifouling Primer & Barrier Coat is a full bodied primer ensuring excellent adhesion to all substrates. Can be used above and below the waterline providing superb protection from water ingress. Precision Antifouling Primer & Barrier Coat can be used as an underwater primer on prepared steel or as a sealer coat over most conventional systems. Coverage: 10 m2/l. Precision Anti-corrosive Metal Primer is a robust zinc phosphate metal primer for use on prepared steel and aluminium surfaces. This primer has superior anti-corrosive properties drying to a semi-matt finish. Precision Anti-corrosive Metal Primer is for use with a wide range of conventional topcoats such as Precision Yacht Finish. Coverage: 13 m2/l. Hempel Light Primer for use on glassfibre, wood, steel and aluminium, a two pack high performance epoxy priming and undercoating system. This product has outstanding corrosion, impact and water resistance qualities both above and below the waterline. Can be used for osmosis protection when application takes place at low temperatures. Coverage: 5,20 m2/l (100 micron). Number of coats: 3-5.
International Interprotect is quick drying, easy to apply two-pack primer for high perfomance protection on all rigid substrates. It can be used equally above or below waterline. Coverage: 9,10 m2/l. Number of coats: 1-5.
International Gelshield 200 is a quick drying, high performance, two-component epoxy for application to sound gelcoats to help protect against osmosis. Suitable for use in temperatures down to 5 C. Using area: above and below the waterline. Coverage 9,10 m2/l, number of coats: 5 by brush. Precision Premium A+ Antifouling is a modified composition containing a high level of copper thiocyanate to give excellent antifouling performance. Suitable for aluminium, steel, wood, or GRP hulls. Designed for vessels with a max speed of 30 knots. Expected functional life of the coating is 18 to 24 months. Coverage: 10 m2/l, number of coats: 2. Precision Premium + Antifouling is a modified composition containing a high level of cuprous oxide to give excellent antifouling performance. 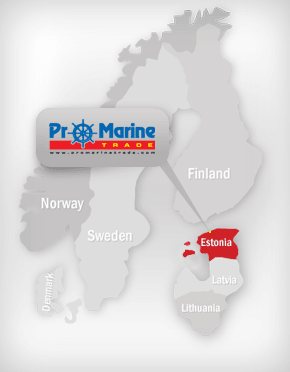 Suitable for domestic and commercial vessels with steel, wood, or GRP hulls. NB! Do not use on aluminium vessels. Designed for vessels with a max speed of 30 knots. Expected functional life of the coating is 18 to 24 months. Coverage: 10 m2/l, number of coats: 2.